Wonderful Weaverville opportunity! This manufactured home sits on over .8 acres in north Buncombe County. The open floor plan and abundant windows make for a very inviting and light-filled living space. The kitchen features a large island and work space for entertaining. You will enjoy relaxing in your garden tub and spacious bathroom! The bedrooms are large and there are ceiling fans throughout the home. Outside your deck awaits! 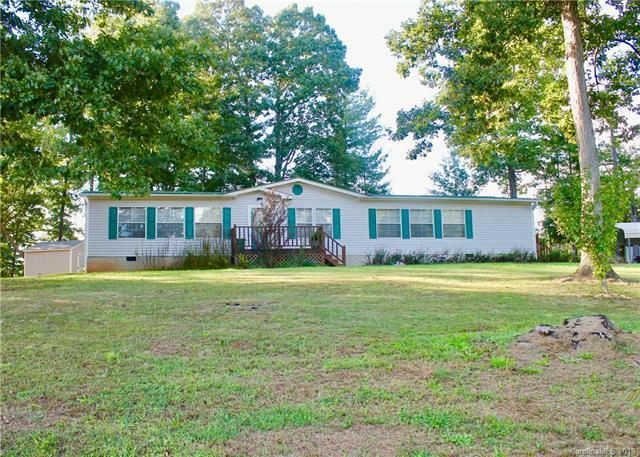 The property has long range, mountain views and plenty of yard space for relaxing and entertaining. There is also a covered 2-car carport! So much is offered with this property! Come see it for yourself today!